Yes! 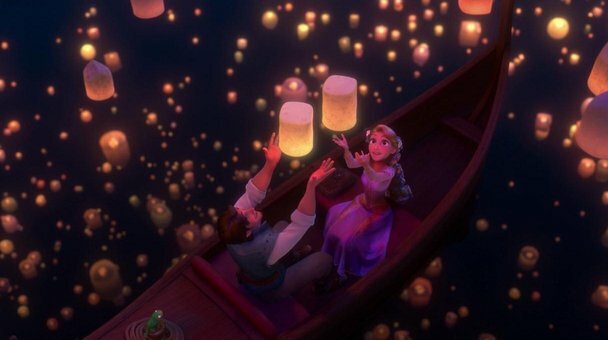 The marvelous Tangled, directed by Byron Howard and Nathan Greno, received 30.63% of the votes and was crowned as the Disney Revival Champion. In the article we published about the movie we mentioned how important this movie had been for the studio, bringing its most classic genre into the modern era with a story full of hilarious and likable characters, delightful music and gorgeous animation. Rapunzel and friends managed to take first place despite some strong competition from Frozen, who received 25.65% of the votes. Good job, Anna and Elsa. Last year’s Big Hero 6 came in third, with 17.28% of voters proclaiming Disney’s most recent release as their best. The highly original Wreck-it-Ralph followed closely, gathering a respectable 15.18% of votes. Both these movies represent Modern Disney really well, since the studio seems to be alternating between Princess movies – still our favorite, it seems – and non-fairytale stories. As long as they keep up this level of storytelling, they won’t be getting any complaints. 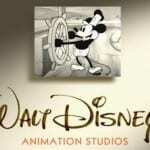 The Princess and the Frog came in fifth with 6.28% of voters choosing the tale of Tiana. This was followed by the adorable Winnie the Pooh (2.88%) and Bolt and Meet the Robinsons (both with 1.05%). So there you have it, folks. 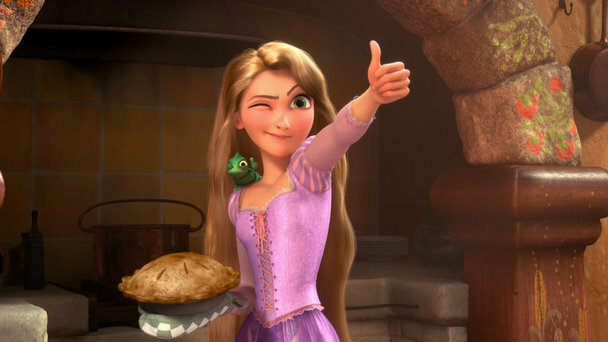 Tangled is the best thing Disney has released in their new golden age. Come back next year to see where Byron Howard’s Zootopia and new princess movie Moana rank! 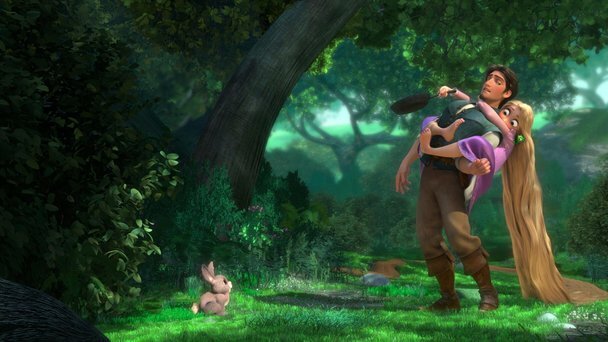 Rapunzel and Flynn, cooly staring down their ‘Zootopia’ opponents. Do you agree with the results? Did you enjoy our Disney Revival Rundown?